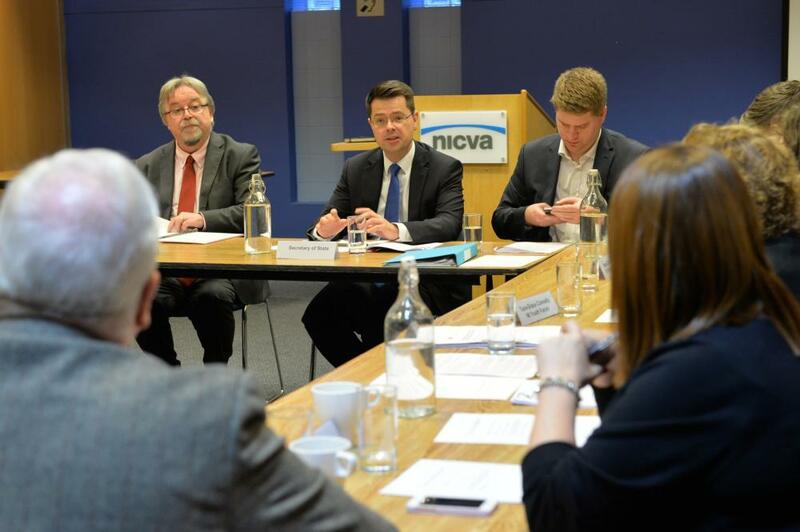 This event focused on community relations and various EU Agreements and was the first in a series of events the Secretary of State has committed to, to ensure that the voices of the voluntary and community sector in Northern Ireland are heard in the discussions on exiting the EU. "The important issues for the negotiations are the same which we thought important going into the referendum. We think it is best to stay within the single market and customs union to aid economic development, there is no appetite for a hard brexit here. Joint membership of the EU by the UK and Ireland and the resultant evaporation of the border have all greatly enhanced the peace process. The government must ensure this is not damaged in the negotiations". "I am very pleased to be here today launching the first in a series of round-tables with the voluntary and community sector. It is vital the voices of these groups are heard as we work to deliver the best possible EU exit deal for every part of the UK. Today, the round-table focused on community relations and upholding the Belfast Agreement and its successors. Many organisations in the voluntary and community sector have been at the heart of building cross-community relations over many years, and this event was an opportunity to recognise the enduring contribution that they have made to healing division and creating a shared future. The UK Government will not take any risks with Northern Ireland’s hard-gained political stability - and that means being faithful to the Belfast Agreement and its successors". the impact of the border both in terms of freedom of movement but also goods and services. and issues around the uncertainty post brexit on funding policy areas that are EU funding led, such as cross-border initiatives under Interreg and employment support under ESF. The meeting was very engaging with the Secretary of State discussing and noting all the issues raised by participants. Responding to the points made the Secretary of State focused on his optimism that we won't end up with a hard border and reflected on the guarantees given by the Chancellor to funding whatever is agreed prior to departure from the EU. He also reflected that the triggering of Article 50 should be seen as the start of a process, not the end. In closing the Secretary of State recommitted himself to hearing and representing the views of the sector, and encouraged organisations to send on specific points of concern. As stated this is the first in a series of themed engagement events on Brexit, we will have more details on the next events in the near future.